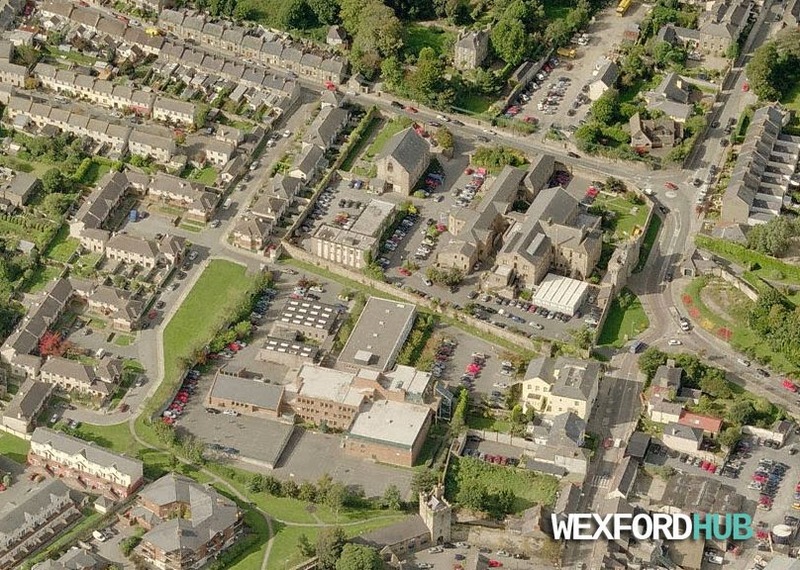 A collection of interesting aerial photographs of Wexford Town, which is the administrative centre of County Wexford. This sleepy port town was founded by the Vikings back in 800AD. 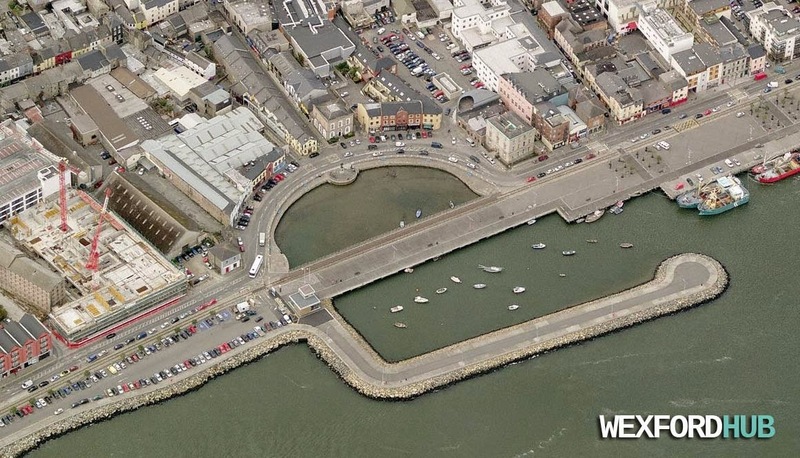 An aerial photograph of the Wexford Quay area. 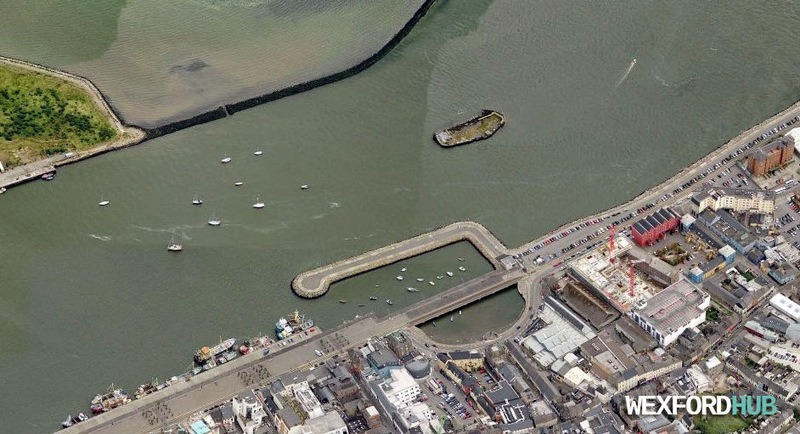 Here, you can see the Crescent Quay, as well as the arm of the marina. 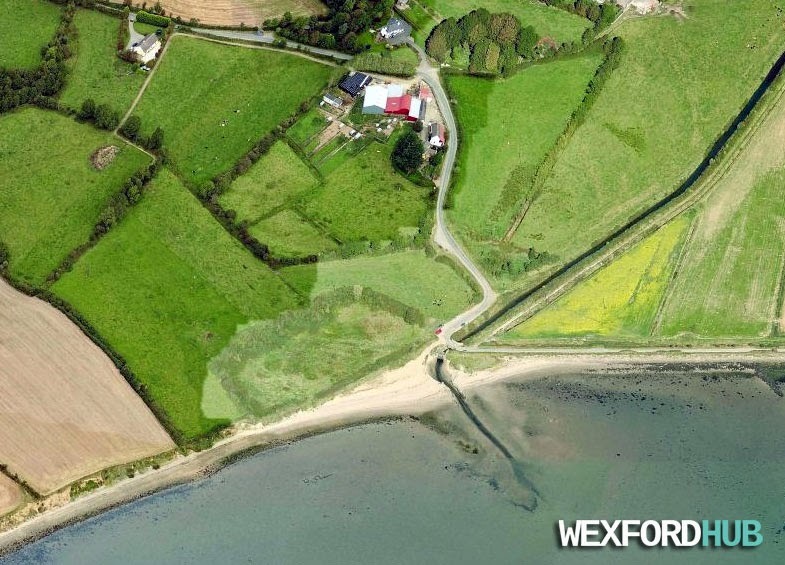 The island in Wexford Harbour is called the Ballast Bank. The land mass in the top left is Ferrybank. In the bottom right hand corner, you can see that the Stonebridge development was still being constructed when these pictures were being taken. To the right of Stonebridge, you can see the court yard of Pierce Court. 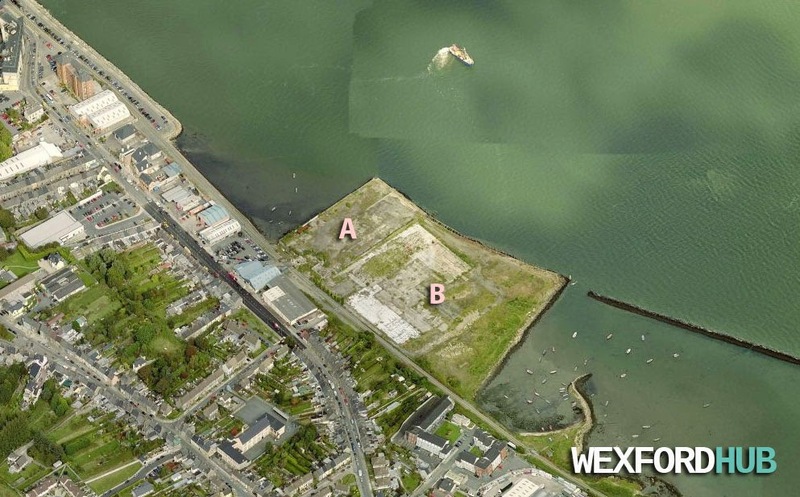 Wexford Harbour used to be one of the busiest ports in Ireland until a major land reclamation project in the 1800s caused a build-up of silt, making it difficult for boats to traverse. I've marked out a number of landmarks / places on the map using the letters A-E (I find that pointing out specific areas on the map helps to put the photograph into perspective). A is Bride Street Church, which is one of the town's "Twin Churches". B is The Pillar, which is a small courtyard-enclosed estate. C is the car park behind Colman Doyle Homestores and the Sky and the Ground. D is the Wexford Garda Station, which is expected to move in the future as the building has long-since fallen into a state of disrepair. E is Saint Michael's Church, which is an ancient burial ground. F is the Christian Brothers building on St. Joseph's Street. 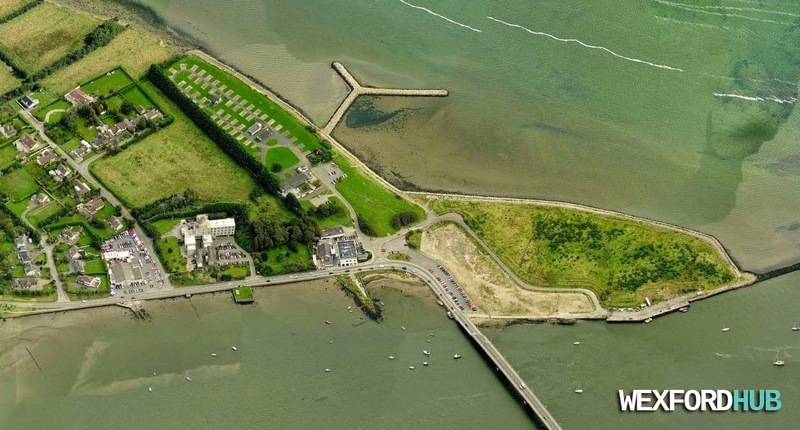 Here, you can see the entrance to Ardcavan Beach, which is on the outskirts of the town. The road that leads off to the right will bring you to the Wexford Wildlife Reserve centre. 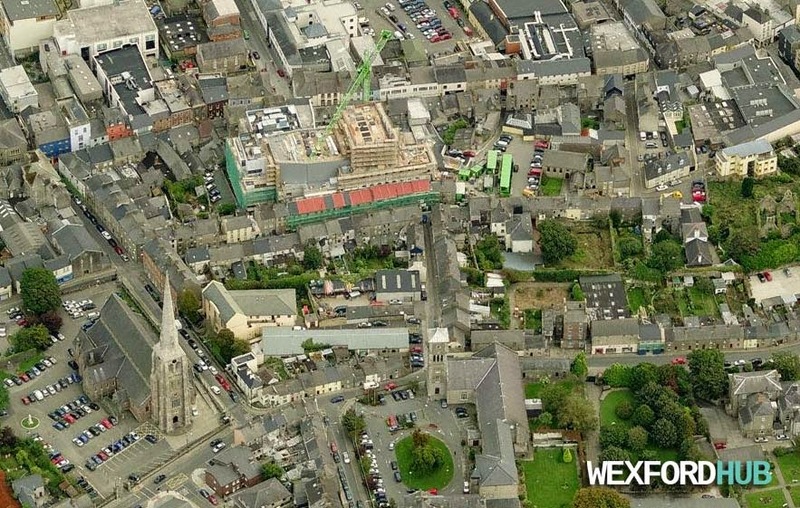 A shot of the Bullring area of Wexford Town. The large building in the top right of the photograph is Whites Hotel. If you look at the Bank of Ireland building on Common Quay Street, you will see that it was being re-built when this photograph was taken. Here, you can see the CBS Primary and the CBS Secondary school, which are located side-by-side. The large field is used as a sports field for PE, sports days and soccer / GAA training. 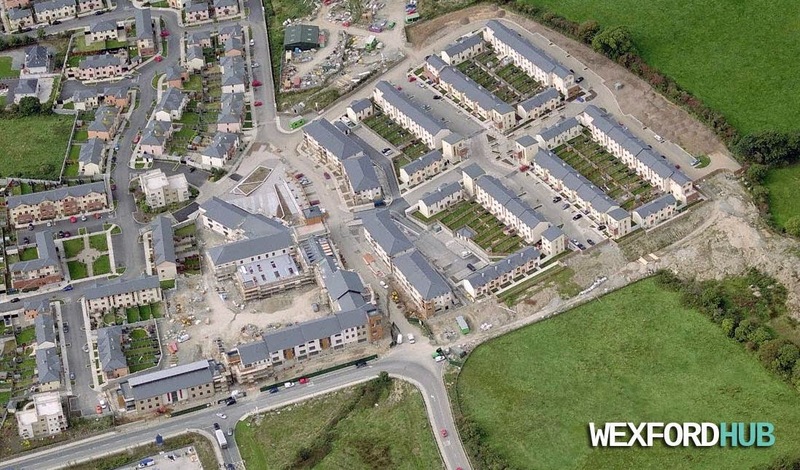 A photograph of Clonard Village, which is an estate that lies on the outskirts of Wexford Town, beside the Whitemill Industrial Estate. As you can see, it was still being built at the time. A closer shot of the Crescent Quay area. As noted above, the Stonebridge complex in the bottom left hand corner was still under construction at the time. The complex has been empty since its construction. In the near future, American department store chain T.K Maxx will be taking up residency in the building. 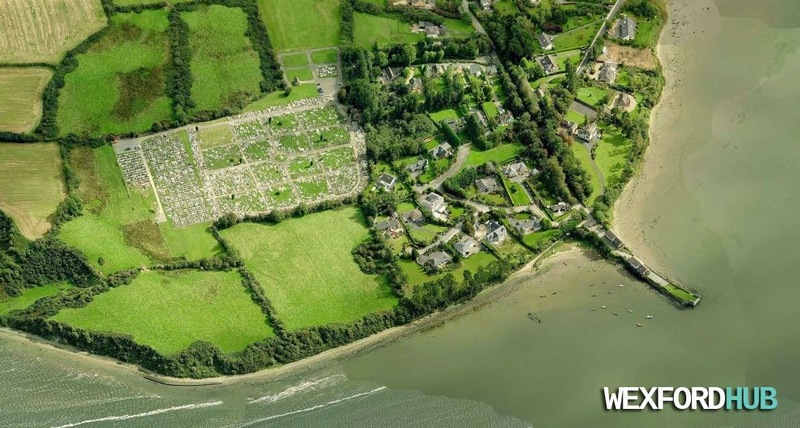 The Crosstown area of Wexford contains a large cemetery called Saint Ibar's Cemetery. This is located on the opposite side of Wexford Bridge. In this photo, you can see Ferrybank, the Riverbank Hotel, Ely Hospital and the Ferrybank caravan and campsite. Also visible is Wexford Bridge, which was re-built in the late 1990s. The letter A marks the spot where the Omniplex Cinema is located today (this was obviously taken back when the Cineplex on Redmond Road was still open). 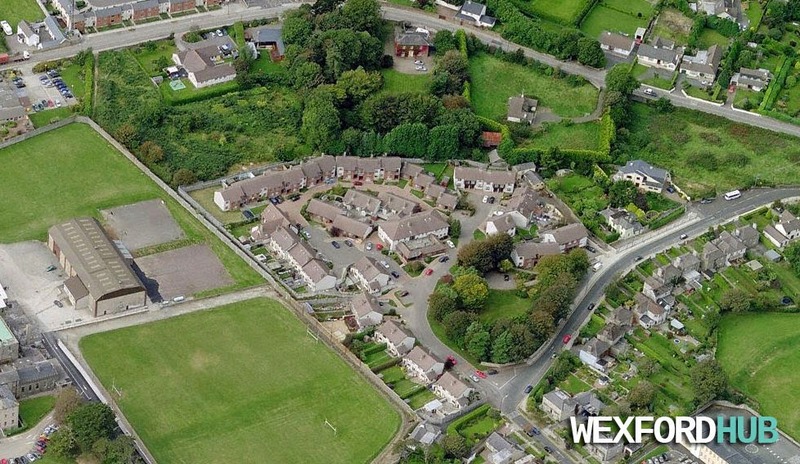 This is the Drinagh area of Wexford. The area to the left is called the Kerlogue Industrial Estate. In keeping with the general "Celtic Tiger" theme of these photographs; Wexford Opera House is also under "re-construction". 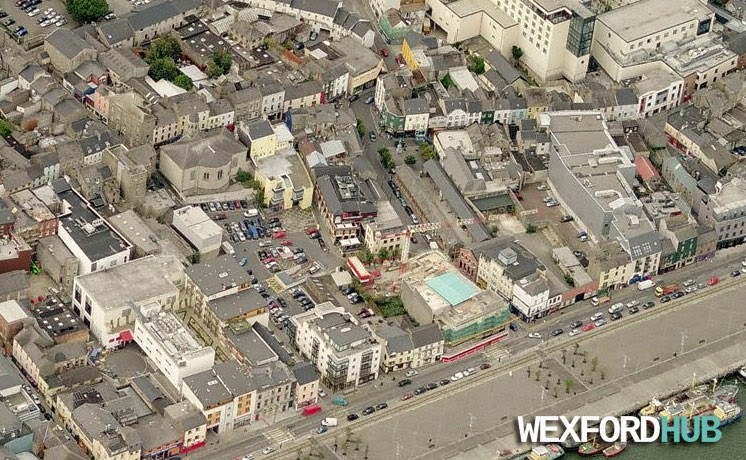 The Wexford Opera House replaced the Theatre Royal, which closed its doors in 2005. In September of 2008, the new Opera House was officially opened during a live broadcast of RTE's Late Late Show. In the bottom left hand corner, you can also see Rowe Street Church. The Friary is centre-bottom. 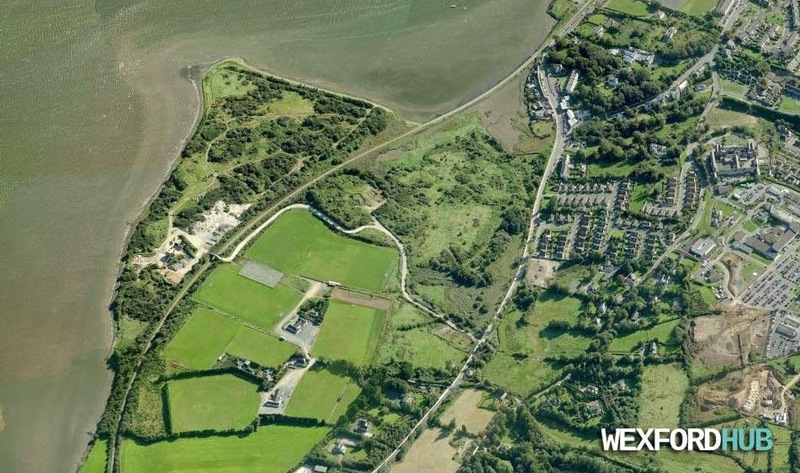 A shot of the area where the Wexford Wanderers Rugby Club is located. 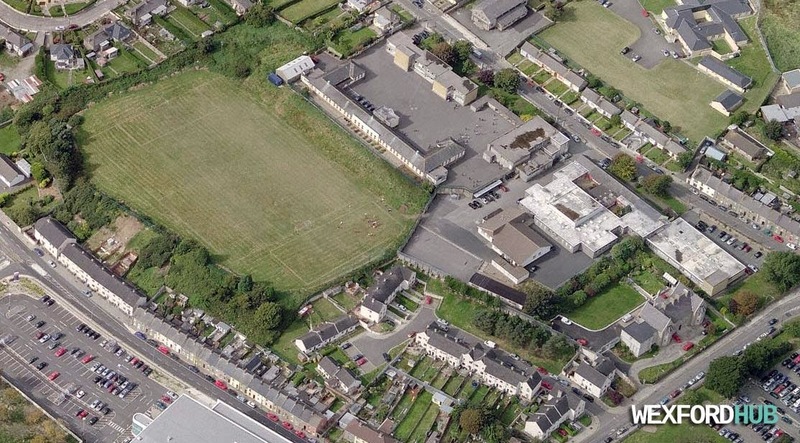 This is also the area where the St John's Volunteers GAA club plays. The railway line runs up along the coast, behind the cottages at Carcur (near the top). In recent times, this road was completely re-done, leading to the introduction of several roundabouts. 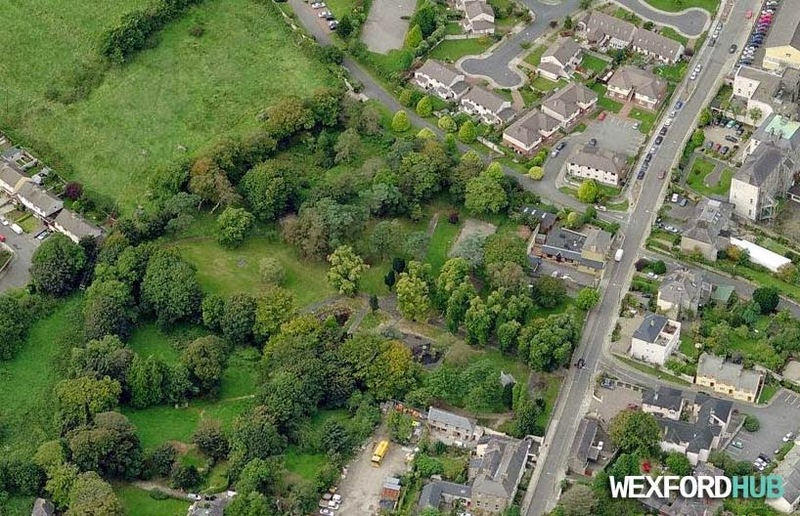 Redmond Park is situated on Spawell Road in Wexford Town. It was opened in the 1930s in memory of Major Willie Redmond, who was an Irish nationalist politician. The estate to the north is called Priory Court. 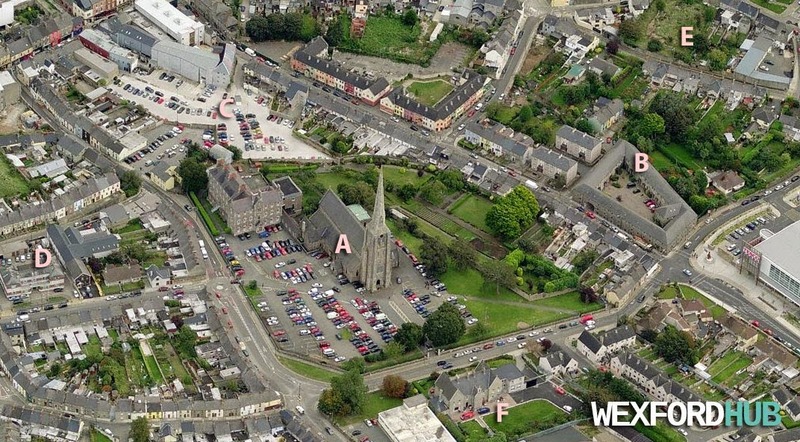 In this photograph, you can see Redmond Square, Dunnes Stores, Westgate Tower and the grounds of Selskar Abbey. The train station can be seen in the bottom right. 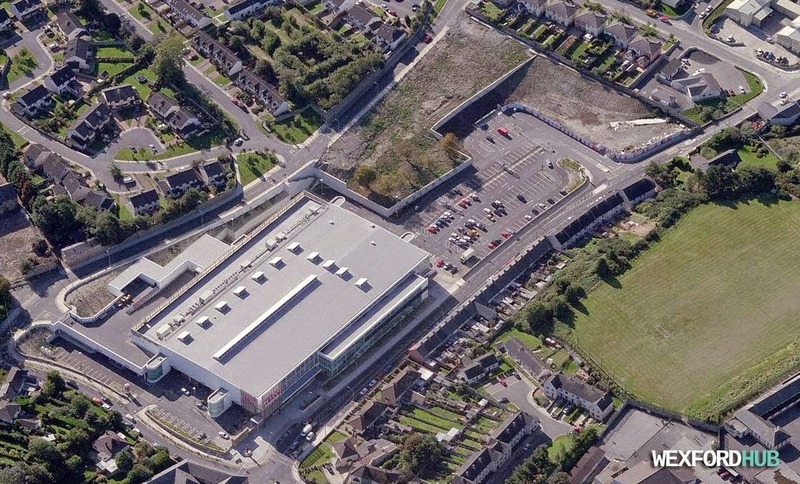 An aerial view of the Tesco supermarket on Distillery Road. Note that the petrol station had not yet been constructed at this point. The sports field in the bottom right belongs to the Christian Brothers School. An area of Wexford Town that is locally referred to as "The Rocks". Westlands is an estate that is situated at the top of John's Road, just past the Mercy Convent primary school. The fields on the left belong to St. Peter's College, which is a secondary school that is well-known for its hurling prowess. The narrow alley between Westlands and the fields of St. Peter's College is called "The Nun's Walk". Up until recent times, this dirt path was a "shortcut" that connected Westlands with Belvedere Road. Nowadays, however, it is closed off to the general public. The open field in the top right hand corner (Windmill area) used to be filled with Christmas trees. A shot of Wexford's GAA Park. Also visible is the North End Pitch (bottom left) and the grounds of St. Peter's College (top left). To the south of Wexford Park, you can see Clonard Church. 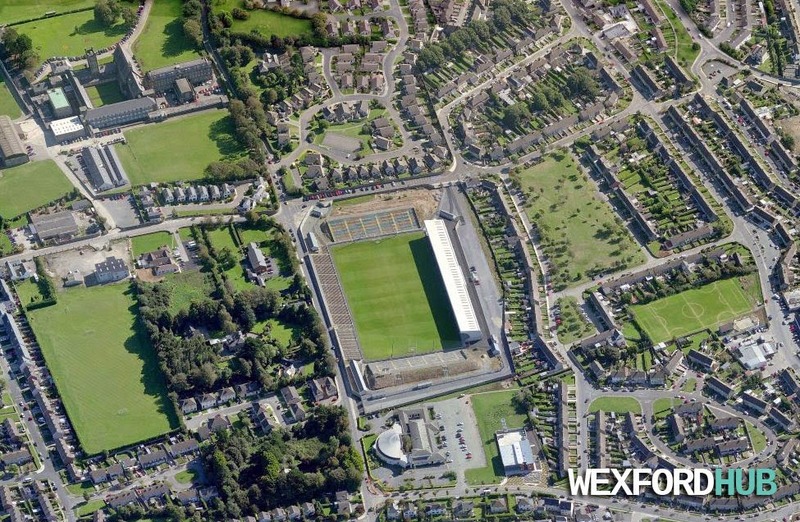 To the right, you can see Corish Park, Liam Mellows and Kennedy Park, as well as the Wexford Albion soccer pitch. 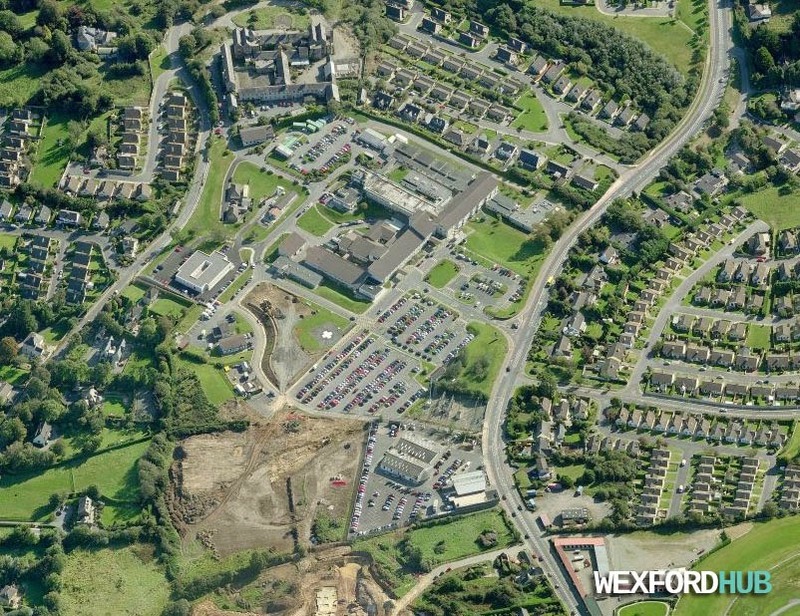 Here, you can see the grounds of Wexford General Hospital. The "oldish" looking building to the north of the hospital is called the Wexford Workhouse. This was used as a famine workhouse until it was taken over by the HSE in the 1920s. Nowadays, it sits in a derelict state. 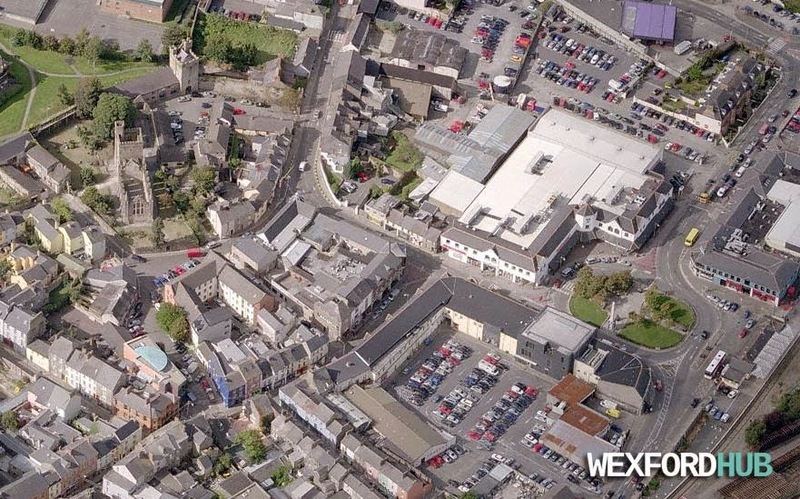 The large dirt patch in the bottom left corner marks the area where the new Wexford County Council and the Department of Environment buildings stand today. The large main road that runs past the hospital on the right is called Newtown Road. To the right of Newtown Road, you can see estates such as Newlands and Sycamore Close. 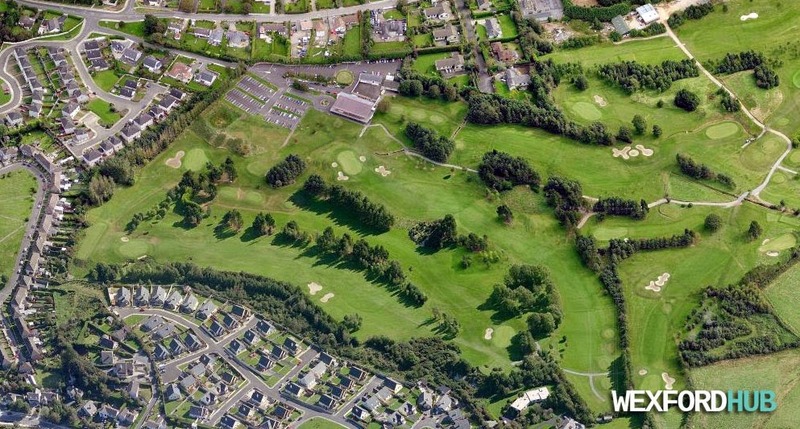 An aerial view of the Wexford Golf Club and its surrounding golf course. This is situated in Mulgannon. 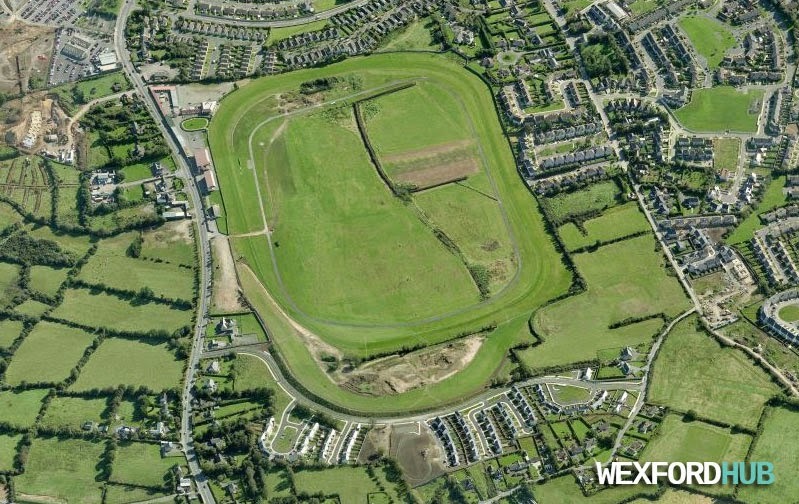 An aerial view of the Wexford (Bettyville) Racecourse, which is on Newtown Road. On the right, you can see estates such as The Chase and Coolcotts Court. 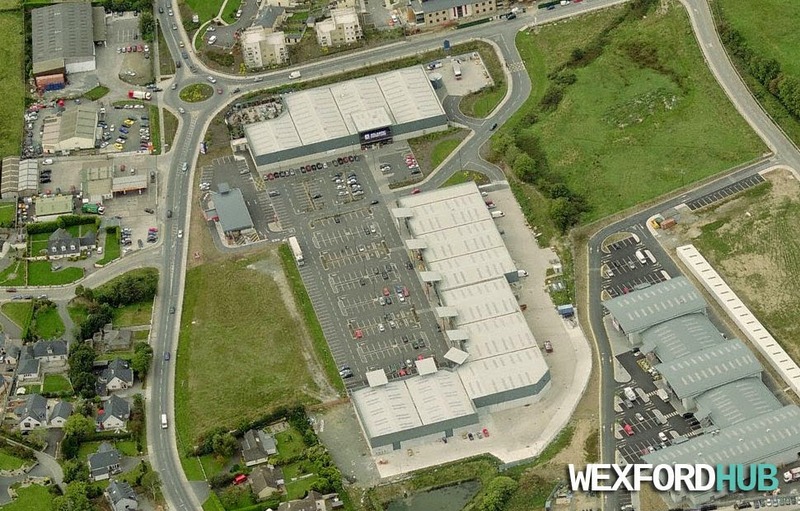 The Wexford Retail Park in the Whitemill Industrial Estate contains popular retail outlets such as ALDI, Halfords, Mr. Price, Carpetright, Costa Plus Sofas (now closed) and KFC. In this particular shot, the ALDI supermarket hasn't even been built yet. This means that the photograph was taken well before 2009 (construction of the premises was in full swing by the summer of 2008). A shot of the Wexford Vocational College, which is a secondary school that is often referred to as "the Tech." 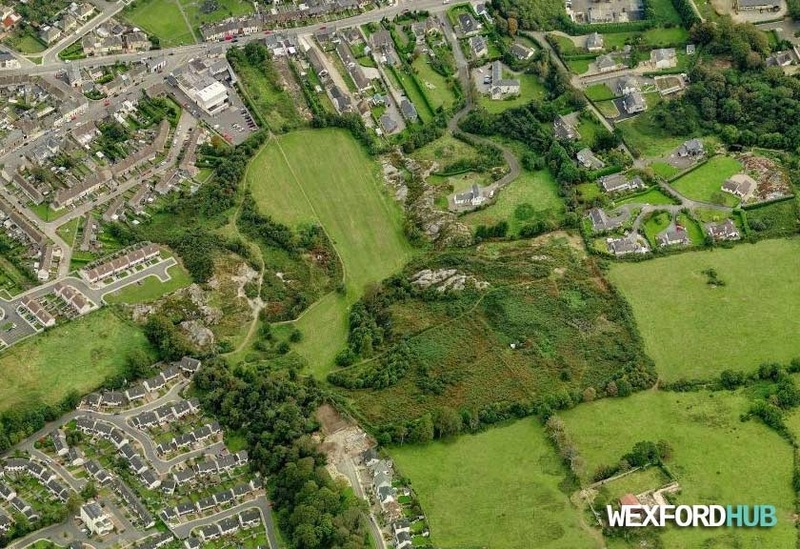 To the north of the school, you can see the grounds of Wexford Gaol (later used by the Wexford County Council). The iconic entrance and the women's block of the prison are the only parts of the original gaol that are still left standing today. The estates in the bottom left hand corner are called Westgate Park and Melrose Court. The street on the top left is called Hill Street. 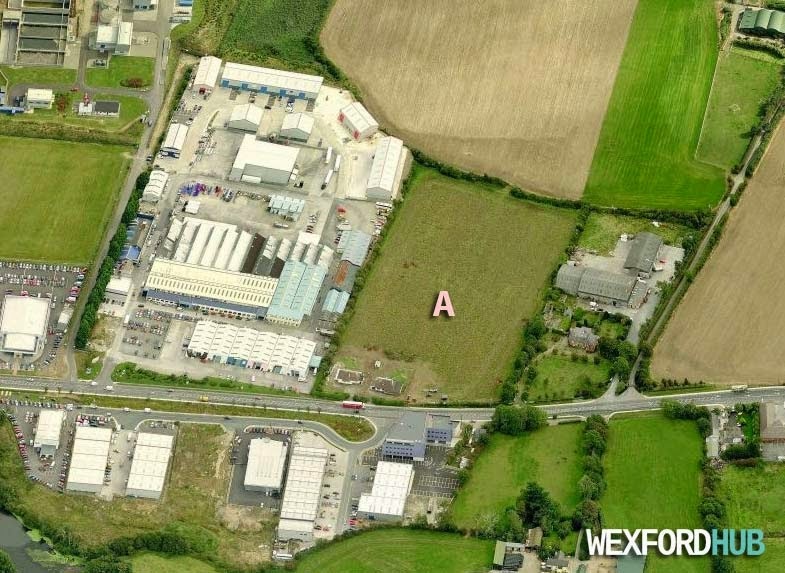 The letter A marks the spot where the old Clover Meats factory was located, whereas B marks the spot where the old Wexford Electonix Factory was located. Nowadays, this piece of land is pretty bare-looking, as most of the factory walls have been "deconstructed". The red-brick building in the top left corner is the Seascape Apartment block. The boats in the right bottom corner are floating in the Cot Safe.